This entry was posted in Canada Canada Immigration and tagged Canada PR Visa on October 23, 2015 by Blog Author. 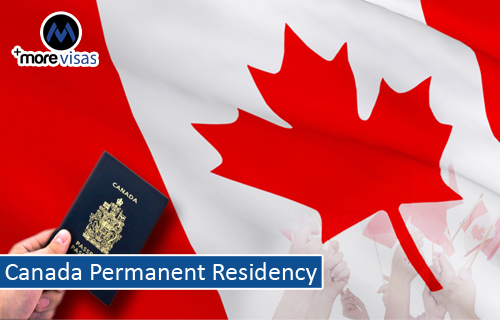 The overseas skilled workers those who are ready to become the permanent residents can now apply for the Canada permanent residency visa immigration program. This comes under the new immigration group. The applicants who have previously gained the work experience in this nation and those who have sheltered major networks in their neighborhood are well suited for this visa. This permanent residence status is given by the Canadian government to the citizens by immigrating to Canada. These overseas citizens who got settled in this country for some years are granted this permanent resident status through government-assisted refugee program or and private sponsorship program. How to Obtain a Permanent Resident Visa? Attend interviews with immigration ambassadors. Being a permanent resident, the candidate may travel outside the country after they arrive you must meet certain residency requirements to safeguard your position as a permanent resident. To meet these Canada Permanent residency requirements, the candidate needs to be physically present in the country for at least 2 years in every 5 year period. This indicates that the candidate can spend a total of up to three years outside the country in a 5-year period. The Permanent Residents can work and live anywhere in Canada. If the candidate has been a Permanent Resident for more than 3 years then they can apply for a Canadian citizenship. The Permanent Residents who will become the citizens of Canada will have the same rights as the natives of the country. If you are interested to apply, fill out our Quick Enquiry Form, so that one of our visa expert will get back to you.